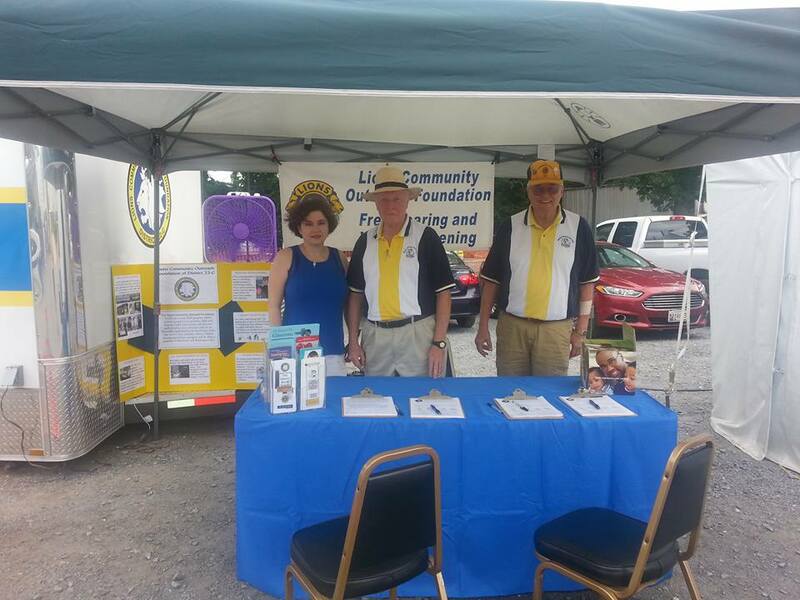 On Tuesday, August 18 the Sandy Spring Lions Club conducted free vision, hearing, and glaucoma screenings in the Lions Community Outreach Foundation Mobile Health Unit at the Montgomery County Fair. We began screening at 10:00 am and continued on until 5:00 pm. Since Tuesday was Senior Citizens Day, the majority of our screening clients were senior citizens. This was our club’s first opportunity to do screenings in the new trailer, which is a big improvement over the bus in terms of comfort, convenience, and more modern screening equipment. Having a tent to provide shade all day long was also a welcome change. A total of 54 screenings were provided to 34 clients. 8 Lions and one guest worked a total of 32 hours. Thanks to Lions Ed Loane, Warren Derrick, Carole Derrick, Narcy Klag, Brother Pattie, Joyce Howes, and Bill Lavely for their enthusiastic participation. A very special thanks to our guest, Dr. Maryam Esmaeli, for her assistance. In addition to doing screenings, she made many postings to social media, including the Sandy Spring Lions Facebook page. Be sure to check it out and Like! This entry was posted in gaithersburg, king lion, montgomery county fair, service, vision. Bookmark the permalink.